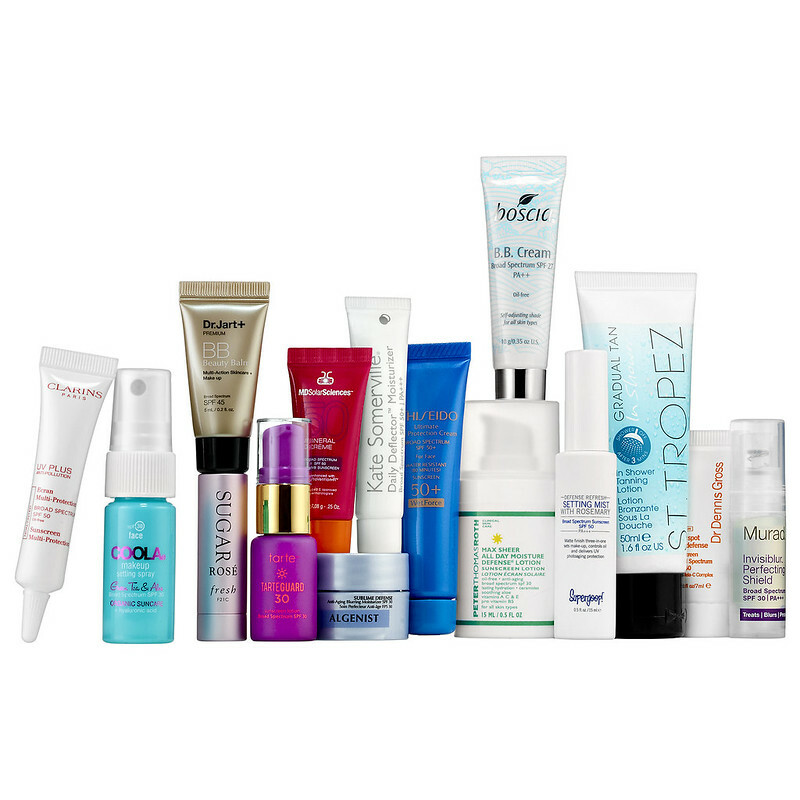 Sephora comes out with a Sun Safety Kit at the start of every summer with a variety of SPF and self-tanning products. They quickly sell out. It’s $32 (and a $127 value) and $20 of that goes to The Skin Cancer Foundation. This is good for someone who’s looking for a new SPF product and isn’t sensitive to certain sunscreen ingredients. I personally don’t care for the self-tanning products. J.Crew has a well curated selection of items from other brands which is found under the “J.Crew in Good Company” category. At least when it comes to beauty and personal care, I consider many of these classics that you’d never find on sale. Since J.Crew regular price promotions never apply to third party brands, I always wait for J.Crew to markdown first… promotions on sale items almost always includes the other brands. Through tomorrow, get 30% off sale items with code SHOPSALE and these items are not final sale yet. Post code, it’s close to 50% off. If you miss this sale, don’t fret… I think J.Crew has a lot of summer inventory to get rid of judging by the frequent 30-40% off sales. In-store prices may be better. Remember this post? Well, I never reorganized/cleaned out the medicine cabinet. Maybe after busy season. Stress wreaks more havoc on my skin than puberty did. Woe is me. 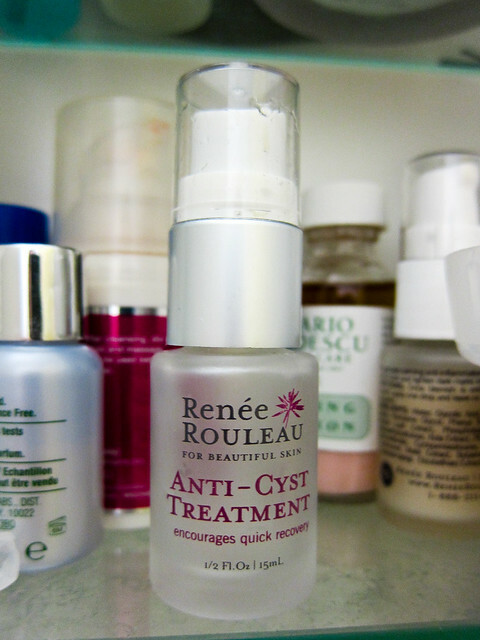 One skincare item I can’t live without now is Renee Rouleau’s anti-cyst treatment (mentioned here). The bad news is that it isn’t cheap and I thought I was smart for purchasing two during the anniversary sale. I had to buy another one because I have no idea where the extra one is. I am enjoying my new haircut, especially since my hair is so much lighter. A good cut makes such a difference. I usually spray some Bumble and bumble. thickening spray or blow blow up thickening mist to add some grip, let it air dry while I finish getting ready, and blast it with hot air for a minute and then I’m out the door. I think a shower and blowdry time of less than twenty minutes is pretty efficient, no? On the weekends, or when I have more time, I will also add some Bumble and bumble. 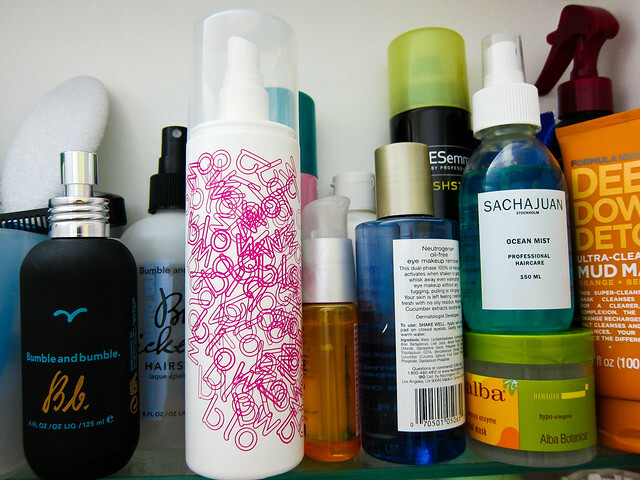 surf spray or Sachajuan ocean mist, which I find gives way more volume and texture. 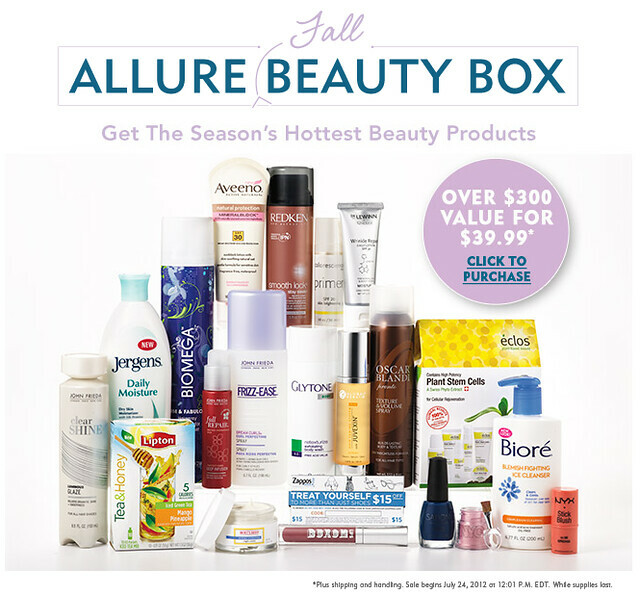 I posted about Allure’s beauty box a few months ago. I wasn’t expecting to see another one so soon, but time has been flying. 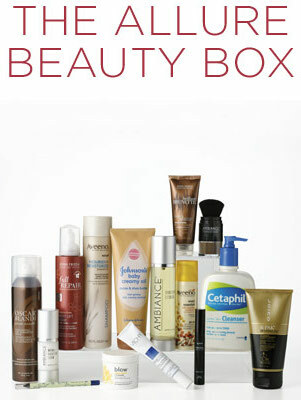 This beauty box is cheaper than last time’s — $29.99 + $10 for shipping (reportedly) worth $250. Overall, this box is always a steal if you can use most of it. Typically all products are full size unless otherwise indicated. If you’re a brunette with processed hair, you should definitely consider.